Dortmund - Marco Reus was in sparkling form once again in Borussia Dortmund's resounding 6-1 victory over VfB Stuttgart on Friday evening. After helping himself to his sixth league goal and fifth assist of the campaign, the 24-year-old discussed the reasons behind die Schwarz-Gelben’s stellar run of form, BVB's evolution and the three-way race for Bundesliga honours. Question: Marco Reus: A brilliant performance, great goals and a big win - it doesn't get much better than that, does it? Marco Reus: It wasn't as easy as the final score suggests. Stuttgart actually did really well, especially at the beginning of the match. Perhaps we needed to concede a goal to wake us up a little bit. We were lacking in concentration in the first twenty minutes, but found our way into the game and created the goals really well. We really turned on the style in the second half. Reus: We have played very well in the first third of the season. Apart from the draw at Nürnberg and the defeat in Gladbach , we've been very consistent. It was very disappointing that we didn't get any points from those two games, but we go into every game extremely focused. We're fresh and we're enjoying our football - that's an important factor for us. You can see that on the pitch. Question: After playing so well in the Champions League and in the Revierderby, was it difficult to reach that same level of performance against Stuttgart? Reus: I think games like this are also very difficult and it's particularly important to win these matches. Last year, we might have been unable to win this sort of match after falling behind so early. In that respect, we have definitely evolved. 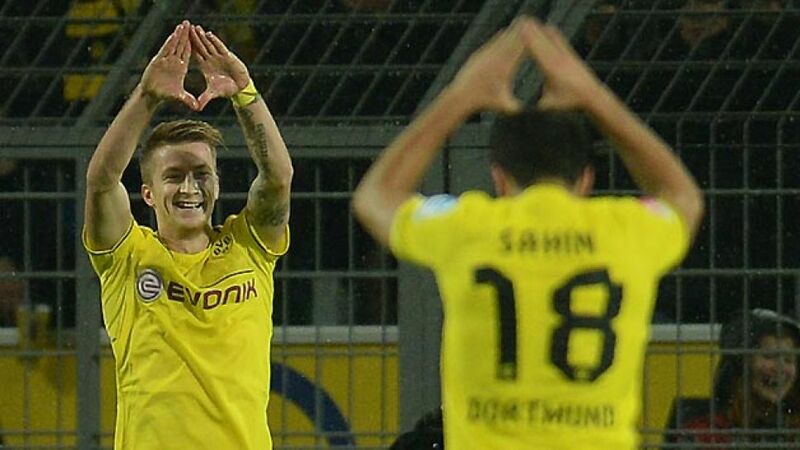 Reus: We know that 'Papa' is very strong in the air. At one corner, he was standing in just the right position, but it's a good feeling to finally score from a set-piece. I don't know how long we've been waiting to score from a corner. That definitely adds to our development. Reus: Against any team in the Bundesliga, it's always going to be difficult to win. If you lose focus and concentration as we did in the first few minutes against Stuttgart, you concede a goal straight away. If we're not having a good day, it becomes difficult. But we're playing at such a high level at the moment, that we should always be able to get the right result. But that sort of thing mustn't happen very often.